To go along with our Spicy Cilantro Grilled Chicken, I opted to make this asparagus and sugar snap pea salad. My aunt, uncle and Shannon all really like asparagus so it was nice to finally be able to cook it for more than just me. We left the grocery list at home when we went to the store and the only thing I ended up forgetting was the spring onions. I’m sure they would have added a nice touch to this salad, but it was still delicious without it. I am usually not a fan of cold asparagus so we opted to serve this closer to room temperature than chilled. You could easily serve it chilled if cold asparagus is your thing. 1. 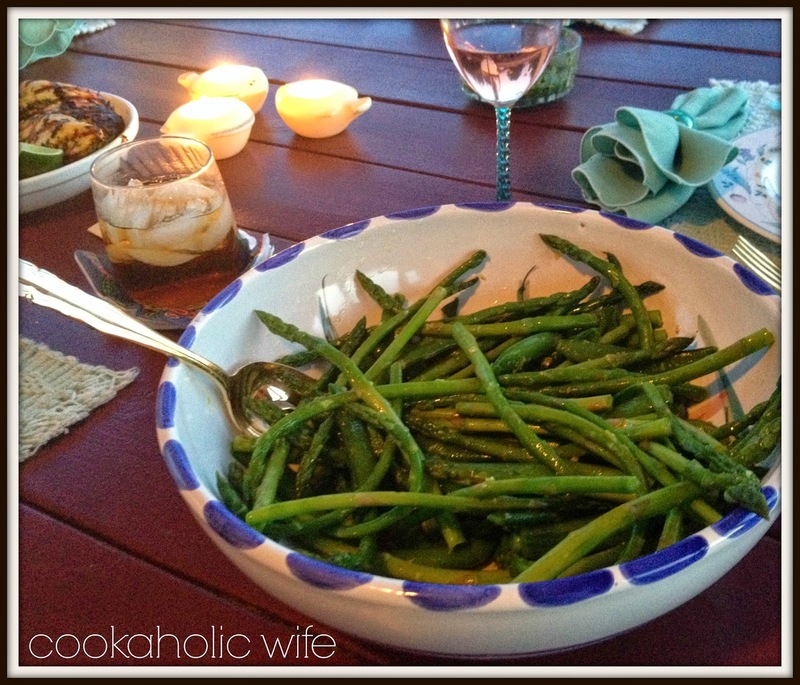 Steam the asparagus and sugar snap peas for 4-5 minutes or until tender. 3. 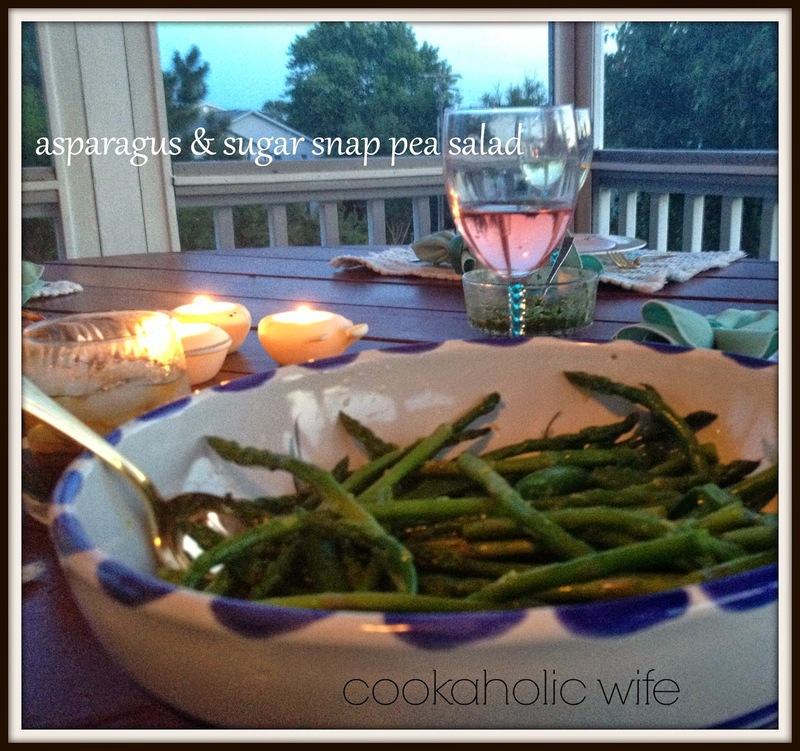 In a medium bowl, toss together the asparagus, sugar snap peas, lemon zest and juice, olive oil and salt and pepper. Serve immediately. I could have easily had this as an entree it was so delicious! I usually don’t make salads when it’s just going to be me eating them, but this is something I can see myself making over and over again.